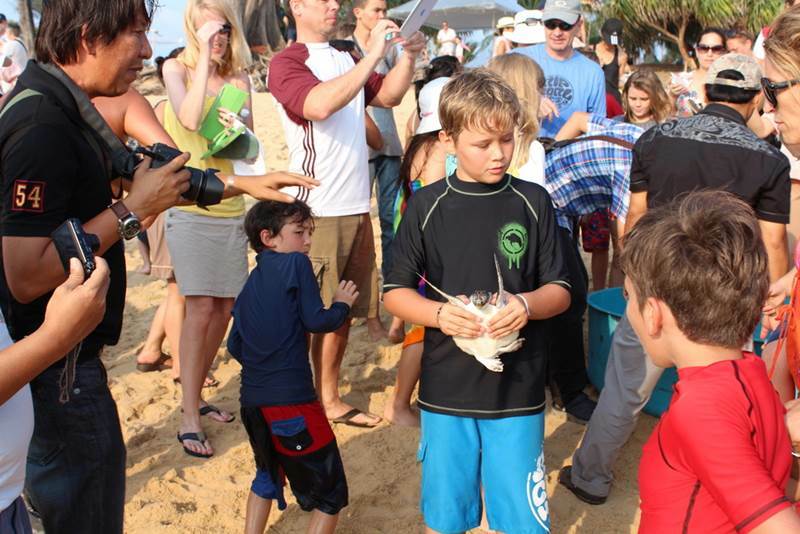 PHUKET: One hundred turtles were released as part of the 4th Mai Khao Turtle Release event, hosted at the JW Marriott Phuket Resort & Spa on March 29. Robert Mather, Head of IUCN Asia and Phuket Governor Maitree Intusut. 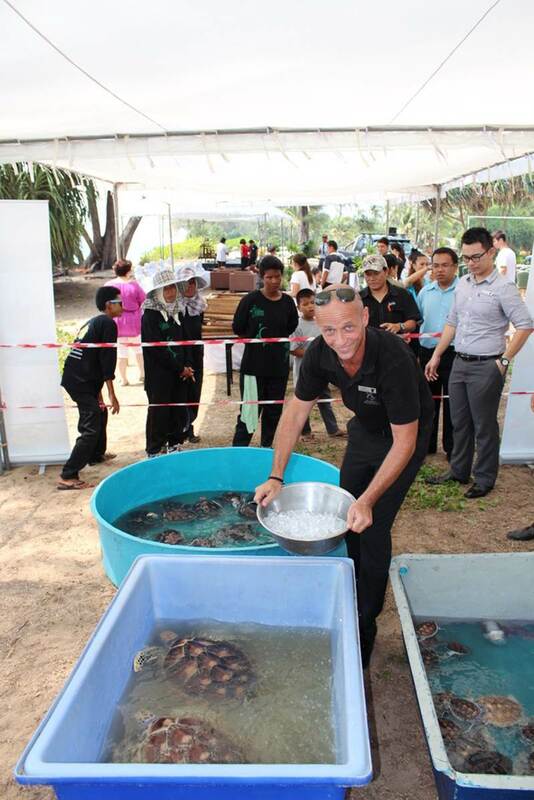 Sean Panton, Director of Corporate Social Responsibility, JW Marriott Phuket Resort & Spa keeps the turtles cool, until it's time for them to be released. 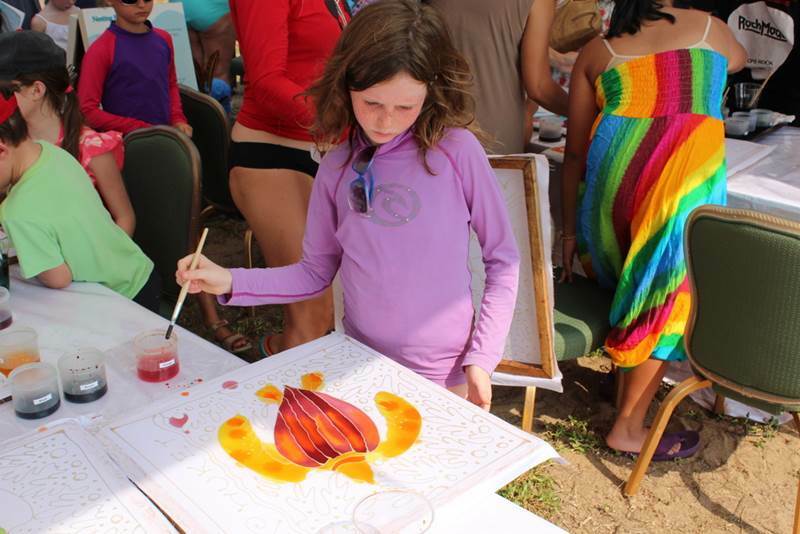 A young girl paints a turtle. 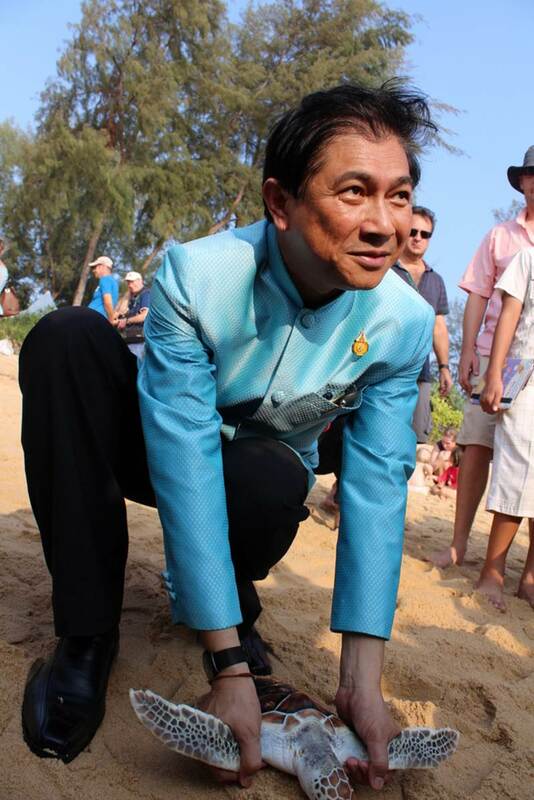 Phuket Governor Maitree Intusut prepares to release a turtle. A boy deliberates whether to keep or release his turtle. 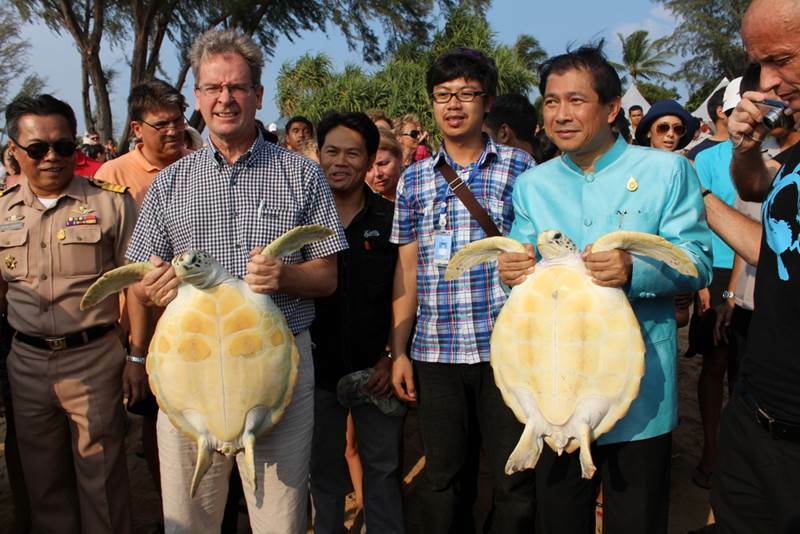 At B2,500 a ticket to release a turtle, the B250,000 raised will go directly back into the turtle-breeding programme at the Phuket Marine Biological Centre.